Home Eastmans Idaho Hunting Unit Shutdown? Your Idaho archery elk honey hole may be inaccessible when the season starts due to numerous fires in central and northern Idaho. Idaho Fish & Game (IDFG) announced last week that more than likely current wildfires will still be active in the early elk season and you may find that your area is closed even if the fire has been contained or put out. Firefighters may feel an area is too hot or too likely to start up again with human activity. Or roads may be closed. In fact, IDFG says this will be an issue into October when other seasons are likely to be affected. So, listen up, rifle hunters. To find out if your area is affected, you can go to the IDFG Hunt Planner and turn on the fire layers and road closures layers. 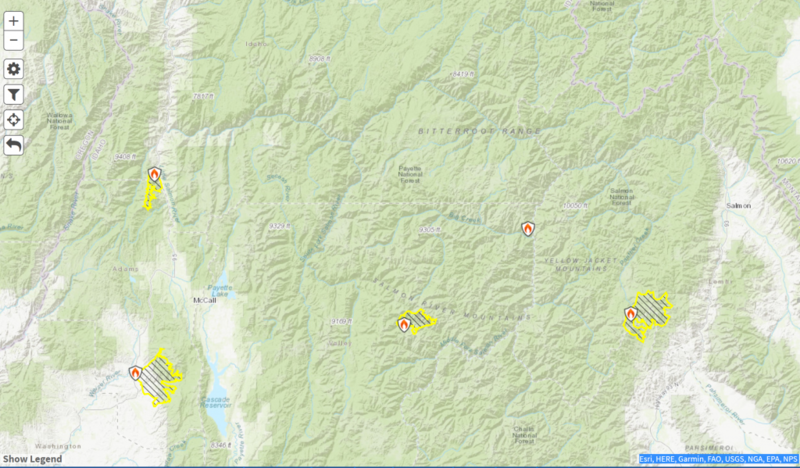 You can also go to the Idaho Panhandle National Forest website for the most current closures. If you are hunting outside the Panhandle, check out the fire map at https://inciweb.nwcg.com where you will see an icon for each fire. Click on it and you can get the closure announcement for it. Here is an example of what you can expect to find on the Inciweb site. The other way this can affect your plans is regarding campfires. The Idaho Panhandle is under a Stage 1 Fire Restriction, meaning you can only have a fire in a designated recreation site and then only inside a permanent metal or concrete ring. If you planned on camping in other areas, just don’t make a campfire. This is not a trivial thing. Build one in this very dry, intense fire season and even if it doesn’t spread, you may have a less-than-cordial visit from a Forest Service employee or IDFG employee. Or worse, it does spread and you are responsible for burning potentially hundreds or thousands of acres. Another way this can affect you is if winds have blown the smoke into drainages you plan to glass. The fire may be a long way away, but the smoke may be where you want to hunt. Either drive there and see if the area is very smoky or call a local ranger to find out. The best glass in the world can’t see though a smoky haze. Have a Plan B and keep on top of things. Make sure you re-check before you go. You don’t want to get to your area and find that you can’t access the trailhead or even drive to within a reasonable distance or that either way your visibility is shot. 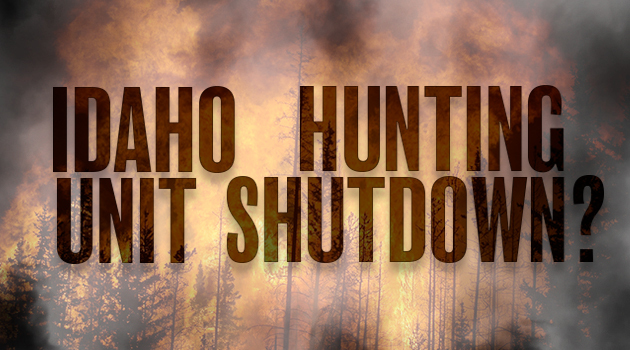 The post Idaho Hunting Unit Shutdown? appeared first on Eastmans’ Official Blog | Mule Deer, Antelope, Elk Hunting and Bowhunting Magazine | Eastmans’ Hunting Journals. Previous articleThe Wyoming Grizzly Hunt Is On!